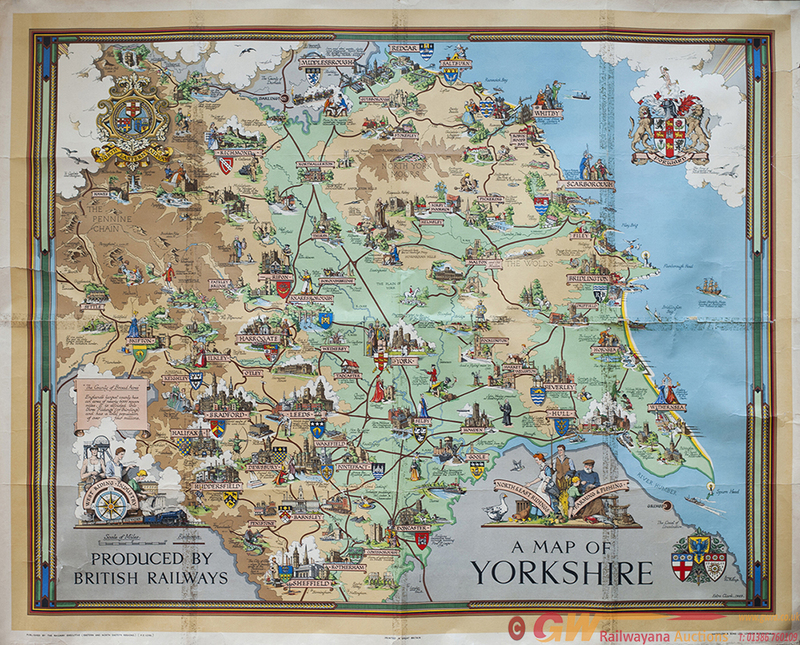 Poster BR A MAP OF YORKSHIRE by ESTRA CLARK circa 1949. Quad Royal 40in x 50in. In fair condition with some tape repairs and tape staining.